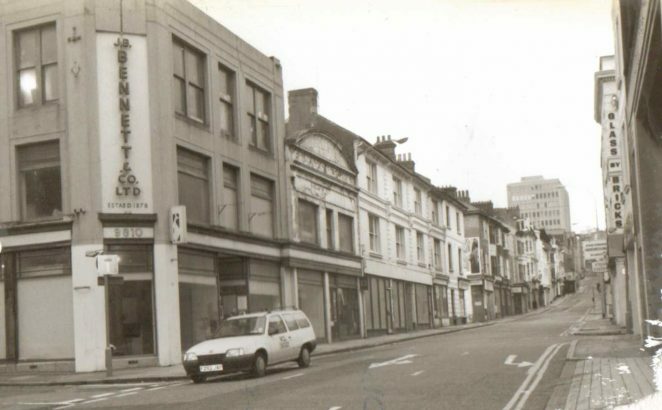 This greengrocers was we believe located south of Western Road, the road being demolished in the original redevelopment for Churchill Square. The business was owned by our ancestor Henry Snuggs pictured in the doorway with his son in the 1930s. We do not know for how long the business survived. 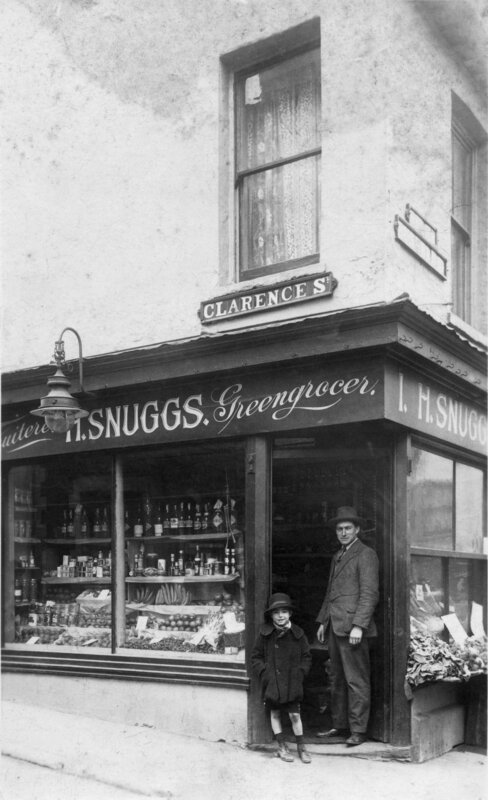 In addition, Henry’s father had an ironmongers at 4 North Road. Does anyone remember seeing any photographs of that business? Response by Carol Homeward: I photographed Bennetts in late 1980s/early1990s: please see above. I believe you may mean the shop at the bottom of North Road called Bennetts. Thanks for the contact Jenny. Indeed the ironmongers in North Road later became Bennetts when it was bought out. Whether there were any other owners in between I do not know. In 1950 this was a cake shop – wonderful memories of our Saturday morning treats!